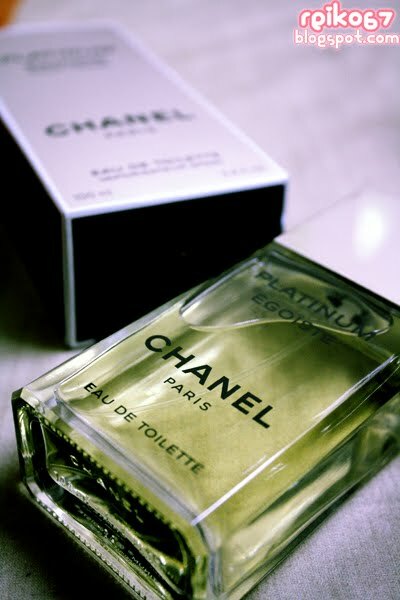 23 years of waiting, finally, I got myself a bottle of perfume - Platinum Egoiste by Chanel (1993), perfume for men (Pour Homme) to be exact! LOL!!!!!!! I think most of the people don't get it, why buy a perfume for men to myself? Me too, don't understand, why I'm so obsess to the smell of Platinum Egoiste. I don't even know what's its scent without google it. My God - Gackt, uses this perfume ( I guess this helps to explain a bit why I'm totally crazy about this perfume.) and he buy them in cartons or something when he visits France. Crazy enough I know, and that makes me a bit curious, why Platinum Egoiste? 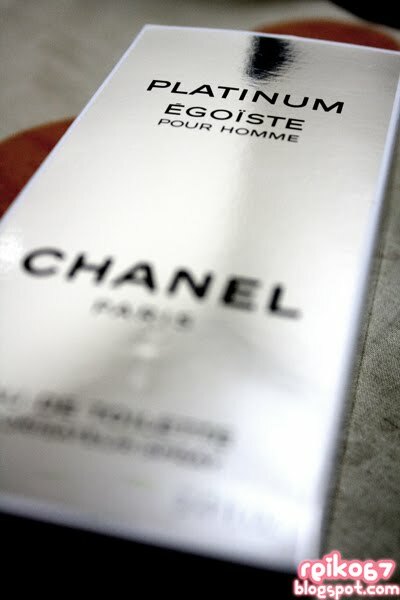 Me and my bunch of ji muisss went over to Chanel counter in Isetan KLCC when we were 17 years old to find out, what's so magical about Platinum Egoiste, until Gackt have to buy stock'em up in his wardrobe. My my, belum try belum tahu, sudah try hari hari mahu!!! The smell is GOOD!!! Such powerful and totally not those over girly/feminine type of smell! I like it very much!!! 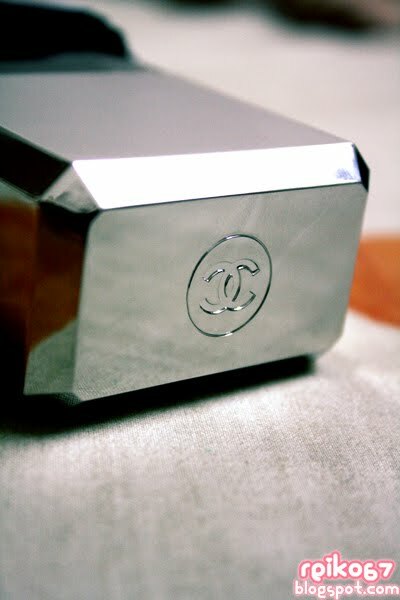 Since then, me and my friends always sneak to Chanel counter and try the sample of Platinum Egoiste. We often get a lot of testing cards and spray LOTS of it, so that we can store them inside our purses or books and get to smell the obsessing smell of Platinum Egoiste. I remember there's once I even mistakenly sprayed the perfume into my friends mouth because we want to spray them on our school bags without letting those sales assistants caught us in action. Hahahahaha! Such fun memory with my bunch of ji muis and with Platinum Egoiste, I guess that's what make this perfume a special one to me. Lots of people say that HK airport have the best deal in buying branded stuff, but no, it doesn't seem so. In Malaysia, the normal retail price for this perfume is RM250, and SM bought this at HK for 525HKD, around RM226, it means only about 10% discount. If HK airport is not that cheap, why all China women going gaga over there for their shopping spree? Do not understand. -_-"
Yes, I know, 200 hundred something is not something very expensive, but I have to think and think and think all over and over again to spend this 200 hundred. It's my hard earn money, I had dilemmas, thinking to spend them on myself or on my baby boy... But I guess I had already made my decision. Am I a bad mother? Am I selfish? Sometimes I wonder, is it really necessary for me to own this or that in my life, spend on myself rather than for other family members. I have headache in making decisions. Somehow, there's a lil voice in my heart saying: You're just a woman, you have to love yourself and pamper yourself sometimes. Life isn't only about others, how about you yourself? Yeah, sometimes I forgot that, I have to love myself too. LOL! I don't even know what is Petitgrain, Clary Sage, Geranium, Galbanum, Vetiver, Labdanum and Treemoss!!! But yet, I love the smell! 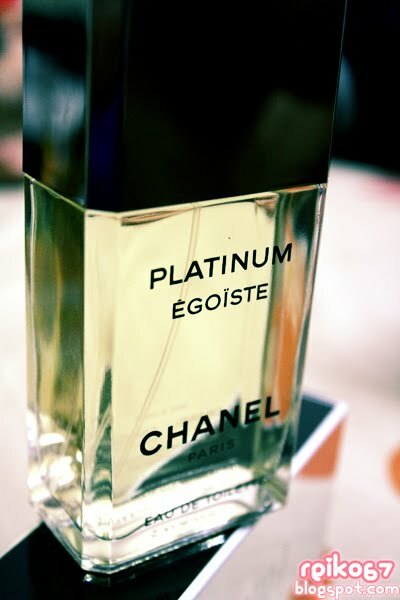 Am totally agreed with some of the reviewers saying that instead of just smelling 3 notes per layer like some other perfume, Platinum Egoiste totally showed us the combination of all layers of scent, creating a powerful yet confidence and fearlessness aura. niway, im going to try out this perfume at the counter also!